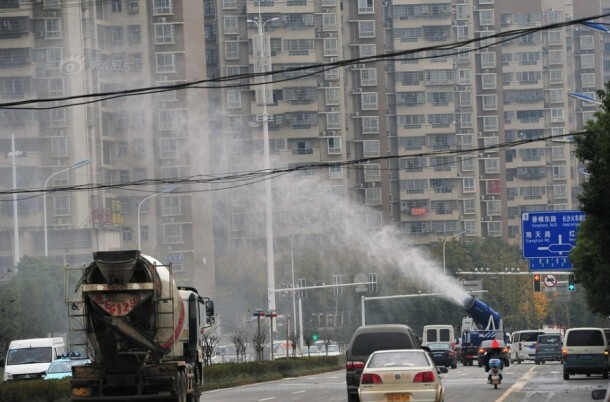 China is facing a real threat in the form of smog and dust particles. It has escalated to the point where Chinese are purchasing fresh bottled air and artistic stunts are being carried out to gain the attention of officials to take some action. The officials, it seems, have taken notice and are considering different approaches for tackling this issue. A recent supplementary solution for this problem has been offered in the form of mist cannons that use water to create mist. Wait, what? 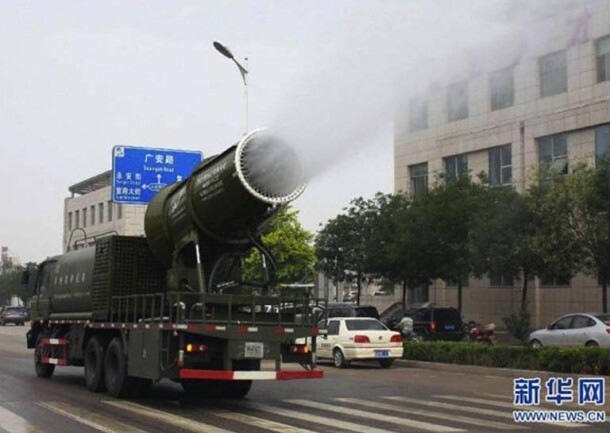 Yes, water mist cannons are being deployed to tackle the smog. The idea is quite simple actually; the cannons disperse liquid in the form of tiny particles and then spray it into the air. These small water particles then catch and absorb the dust and smog, resulting in filtering of air and thus reducing the respiratory issues. Although this reduction doesn’t completely tackle the issue but as mentioned before, it is a supplementary solution. 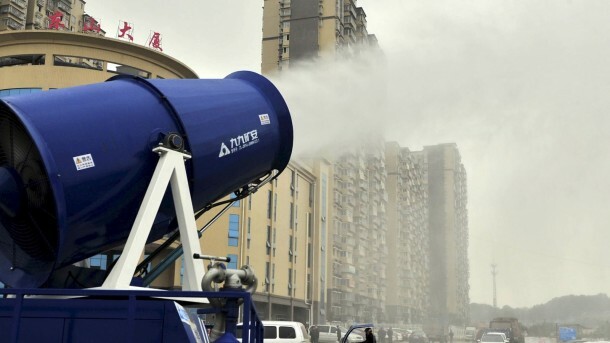 The mist cannons are capable of producing water droplets that are about the size of 10 microns and when billions of these micro droplets are pumped out every minute with a total width of 328 feet and a height of 200 feet, they sure will make a difference. The cannons can either be stationary or be mobile thus allowing the cannons to be fitted onto the back of a truck and driven around, filtering the air on their way. The mobile units cost $92,000 while the stationary model costs $12,000. 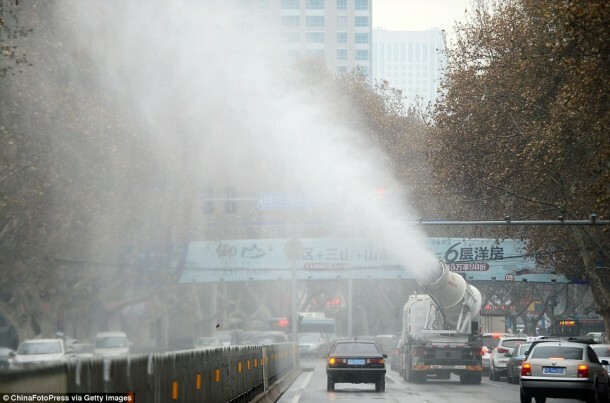 Do you think China will be able to tackle the smog issue that it is dealing with? Let us know in the comments below. This is fixing the problem but in turn creating another. Now we have all that pollution flowing into drains and waterways and eventually out to sea. I’m no engineer but if they could create giant vacuum cleaner like machines that were somehow run by green energy placed strategically and with abundance throughout the city. Of course this is not the ultimate fix of preventing the pollution in the first place but it’s a start.